What happens when you eat a lot of international food, but still get in a rut? Is it like when you live by the sea but get tired of looking at the lapping waves (is that even possible?). 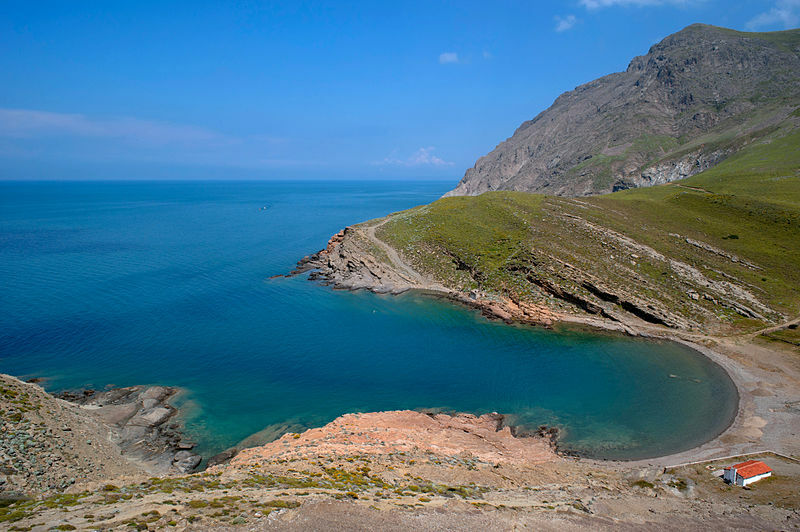 Kardamos beach, Imbros/Gökçeada island, Turkey. Photo by Ggia. It’s so easy (and delicious), to return to old favorites like stuffed grape leaves, hummus and tabbouleh, but sometimes a little shakedown is in order. 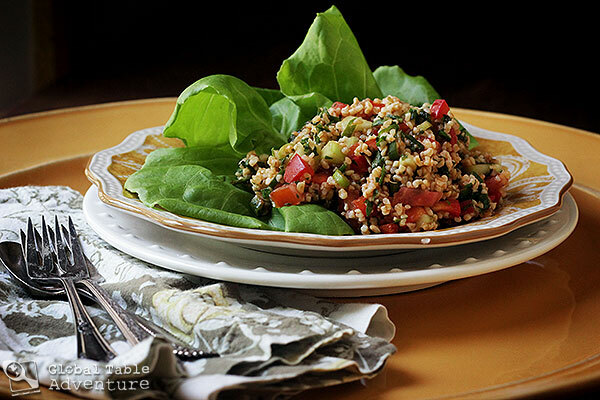 We’re big tabbouleh eaters in this house, so when I found out there’s a Turkish version of this popular bulgur salad, you can bet I jumped on board. 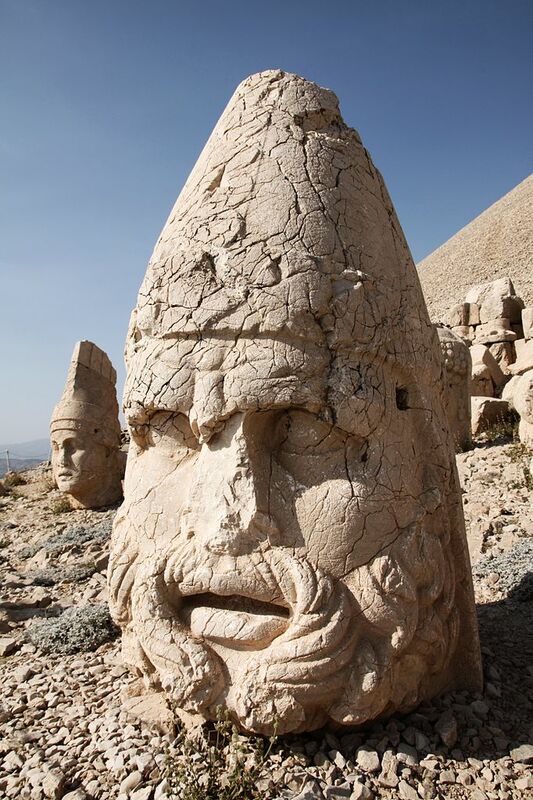 Mount Nemrut, Turkey. West Terrace: Heracles/Artagnes/Ares. Photo by Klearchos Kapoutsis. He’s been waiting for a bite for nearly three centuries. What makes kisir different from mainstream Tabbouleh is the addition of two ingredients: tomato paste and pepper paste. 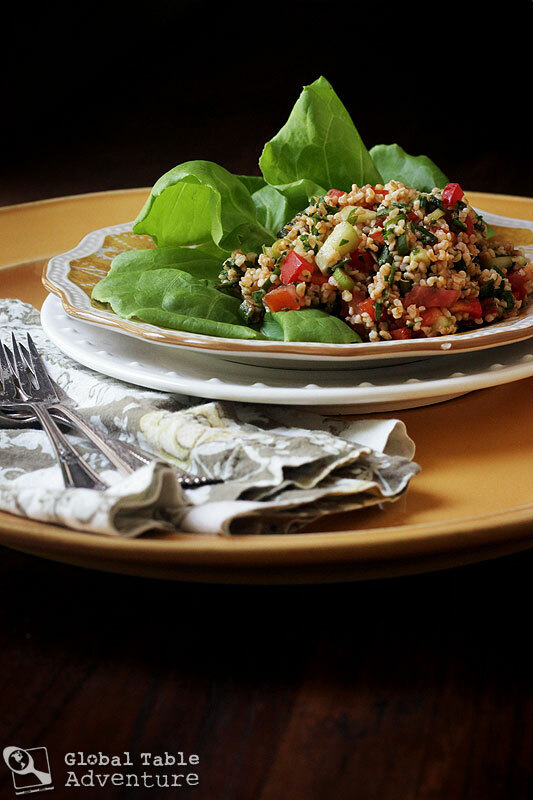 These stain the bulgur grains orange-red, and gives the finished dish a rich, earthy flavor. If you use hot pepper paste, the kisir will also go down with a lovely burn. And then there’s a bit more red, too. Say “Merhaba,” or “hello” to a couple of tomatoes from my garden… I was so happy I could use them in this salad. Even with the addition of the ruddy pastes, the salad tastes bright and light, thanks to a squeeze of lemon juice, a handful of fresh mint (also from my garden), and a big bunch of parsley. The tomato, pepper, onion, and cucumber are all optional, but the crunch makes the kisir really fun (not to mention, nutritional). People in Turkey play with different combinations: some have nothing more than the onion and herbs, while others load up on the tomato, pepper, and cucumber. I say go big; add it all. Notes on the chili pepper paste: I found the chili paste at whole foods on the international aisle, although a middle eastern market would have it, too. The one I bought was scorching hot, so I suggest starting with a little. You can always add more, but you can’t take it away. Do keep in mind, the heat will mellow overnight. If you don’t want a huge jar of chili paste that you might not use again, you could also simply add some diced hot chili pepper (like red fresno, to taste). If you want mild kisir, simply add an extra spoonful of tomato paste and leave the chili paste out completely. 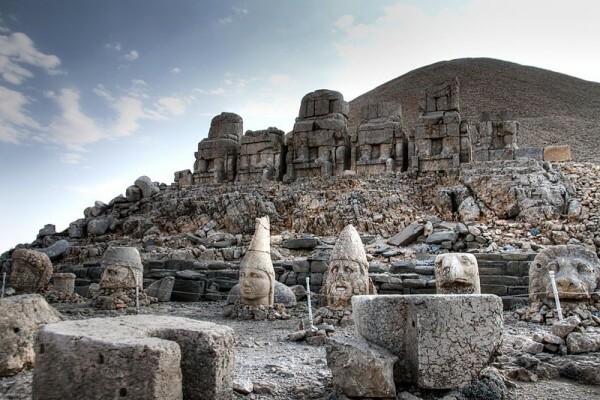 Mount Nemrut – East Terrace Nemrut Tümülüsü Gods of Commagene. Photo by Klearchos Kapoutsis. Let’s go to Turkey with Kisir… grab a large bowl and an even larger smile. Or eagle. Whichever seems appropriate. 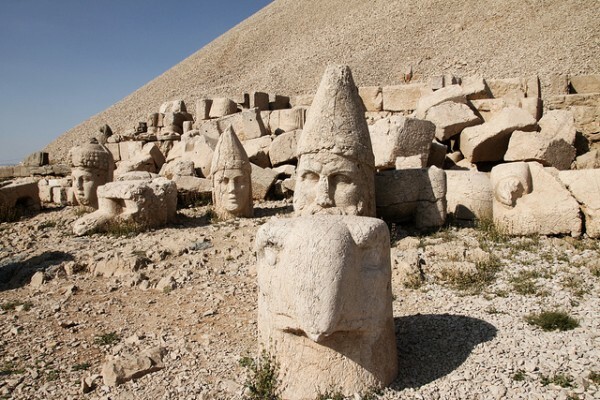 Sculpted heads at the ruins of the temple erected by King Antiochus of Commagene. Photo by Klearchos Santorini. 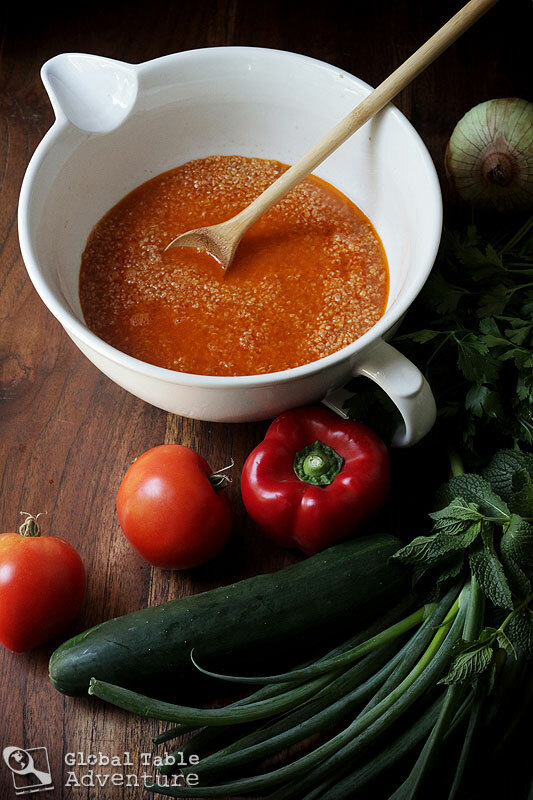 Add bulgur, olive oil, lemon juice, tomato paste, pepper paste, and salt to a large bowl. Mix until the pastes are evenly distributed, then pour on hot water. Set aside while chopping the other ingredients. The bulgur will soften. It will probably take 30-45 minutes to be totally ready to eat. After you’ve added everything to the bowl, season with plenty of salt. 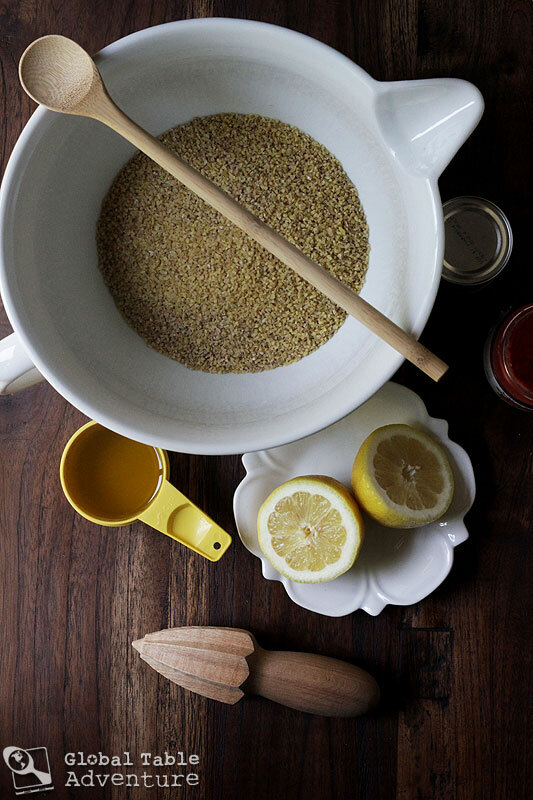 Give the kisir a mix and refrigerate until the bulgur grains are nice and soft. Kisir tastes even better the next day, so it’s the perfect make-ahead treat for a barbecue. Enjoy with a smile, while enjoying the view. 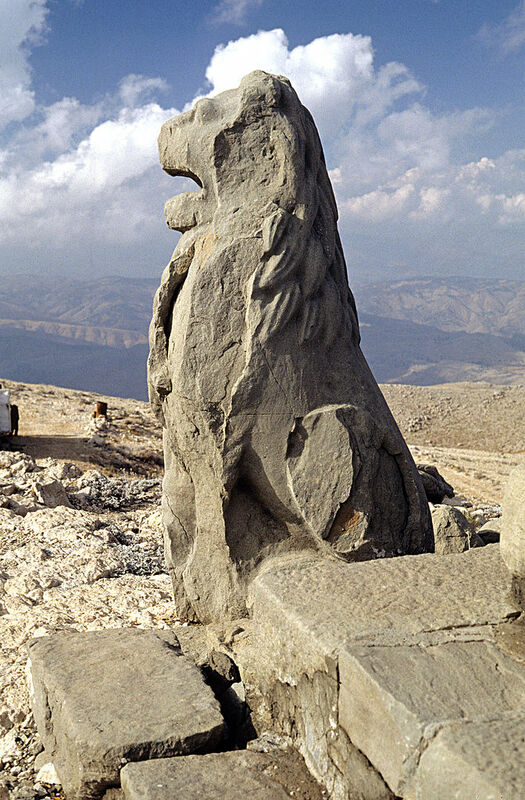 Lion at Mount Nemrut, Turkey. Photo by Klaus-Peter Simon. This salad looks sooooo appetizing…. Iceberg lettuce is pale, mostly water and little to no nutritional value. What it does have is CRISPness. Iceberg lettuce is great when making salads which include not so crispy dark greens such as baby spinach and parsley, etc. Even great to add to sandwhiches/wraps, etc. for that touch of ‘crispy’ along with the not so crisp dark greens. A reason why I must put chopped celery in tuna or egg salad, and why I like alot of chopped onion in my potato salad., etc. Otherwise, it is tasting more mushy than ‘fresh and crispy’. Iceberg lettuce and celery is always in my refrigerator and it keeps well if knowing how to wash and store. Also, if you have leftover salad that has kind of wilted (even with dressing on it)… just perk-it-up by adding crispy iceberg lettuce. For a nice easy and quick and no calorie and inexpensive snack on a hot day…eat some celery or iceberg lettuce. Can even coat the stick of celery with some peanut butter or cream cheese. And if you like a really crispy salad… just put it in the freezer for a few minutes before serving. 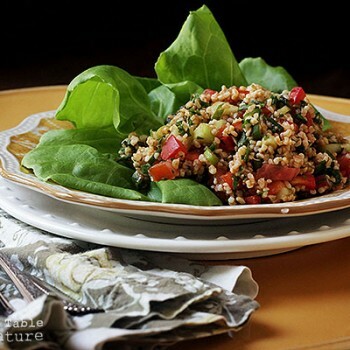 I also always have in the refrigerator… already made and packaged authentic middle eastern tabouli to add to a salad… I find this means no or not much dressing is needed, especially when adding some greek olives and bit of their juice. I haven’t had celery with cream cheese in forever… that sounds good! So, you have given me a reason to purchase iceberg lettuce. I bought a packaged mix last week because it is the only salad my oldest son will eat. He must like the crispness. He is 19 and has always insisted on iceberg lettuce. I think if I mix it with my garden lettuce, he might like it. Thank you. It’s also the least bitter of the salads (even compared to romaine)… that might be part of it, too. Hi Sasha: I love my ‘everything but the kitchen sink salads’. But, I find the crisp and refreshing iceberg lettuce (which basically has only the taste of ‘crisp and refreshing’…. helps tone-down and bring all the flavors together… perfectly, along with ‘crisp and refreshing’. And, the other good part of wonderful and inexpensive iceberg lettuce is, I can make HUGE amounts of salad…. if trying to make a huge amount of salad without adding iceberg lettuce… the cost would endup being very pricey. We love salads! And it is best to de-string the celery. In fact it would be a fun little ‘job’ for ava. I just use a small paring knive (or smallish dull knife, or maybe plastic knive for ava) and catch the ‘strings’ at the top and pull them down the back side of the celery. The larger stalks usually have the ‘strings’. Good summer ‘treat’ for ava… can even put in freezer for a few minutes begore eating, if wanting them nice and cold and crispy.